Full Tilt Poker players with locked funds on FTP for the last year have been waiting for the white knight to arrive and repay all balances. Yesterday the poker world was bombarded with news on just about every front as the long-awaited announcement that PokerStars had purchased Full Tilt Poker from the US Department of Justice, and would repay Full Tilt Poker players, a reality. With so much news coming in like 98-MPH fastballs all day long, today, with a night of sleep under our belt, we will try to relay the most important facts that came out of yesterday’s announcements. 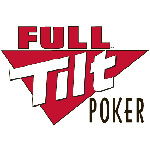 Civil charges against Full Tilt Poker and PokerStars were dismissed: Civil and criminal charges against individuals at these sites (Ray Bitar, Nelson Burtnick, Rafe Furst, Howard Lederer, Chris Ferguson, and Isai Scheinberg) will still face prosecution. Isai Scheinberg will step down from an active or managerial role with PokerStars within 45 days. PokerStars paid the Department of Justice $547 million to settle the civil cases and to purchase the assets of Full Tilt Poker. PokerStars will also have to put an additional $184 million in a separate, segregated, account to repay non-US players from Full Tilt Poker. PokerStars may not hire (not that they would want to) Full Tilt Poker insiders Raymond Bitar, Howard Lederer, Rafael Furst, Chris Ferguson, and Nelson Burtnick. PokerStars and Full Tilt Poker will remain as separate entities, although there is talk that players may be able to transfer funds between the two sites in the future. Both PokerStars and Full Tilt Poker will be allowed to apply for online poker licenses in the US if and when laws permit it. Non-US players will be repaid (in full) within 90 days of the deal becoming official –which will happen within the next week. US players will have to file a remission with the US DOJ in order to receive their Full Tilt Poker funds. There is no timetable set for this repayment process. Neither PokerStars nor Full Tilt Poker admits to any wrongdoing in the settlement.